Home > Toys & Games > Toy > Babies’R’Us: June School Holiday Deals have been extended till 3 July! Till 3 Jul 2016 Babies’R’Us: June School Holiday Deals have been extended till 3 July! June School Holiday Deals have been extended till 3 July! There's a wide range of LEGO, Megabloks, Aquabeads toys and more to choose from, or why not be a scientist with our Edu-Science range? 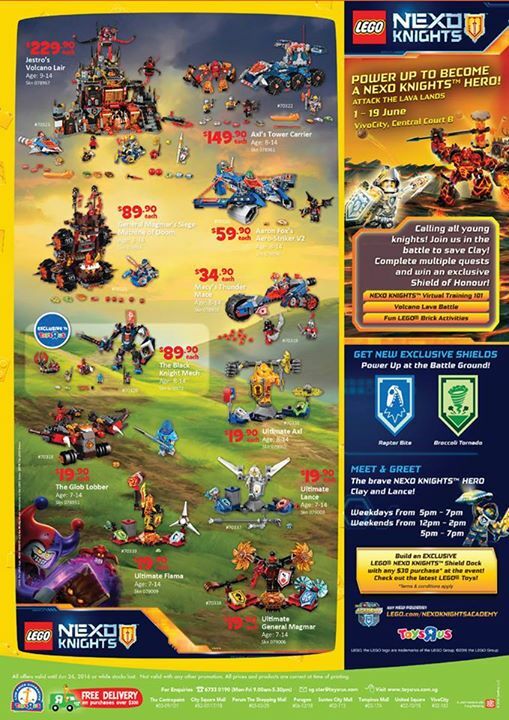 Shop online at..http://www.toysrus.com.sg/june-flyer-2016 or head down to our stores.. Previous: Uniqlo: the Batik Motif Collection is on Limited Offer, exclusively online!